Vancouver has some excellent antique stores. In the business since 1989, the Antique Warehouse receive accolades from dealers, designers and long time collectors as having the best selection of furniture in the city. Besides its excellent toy collection, Baker’s Dozen sells antique model ships and boats, navigational instruments, furniture, paintings, folk art and teddy bears. Formerly Architectural Antiques, this remarkable store specializes in architectural and decorative antiques, period furniture and antique lighting. It also carries antique hardware, reproduction lighting and things you won’t find anywhere else. If you’re interested in English Period furniture, this store is a good choice. Salmagundi West has been going strong for over 35 years and is chock full of antiques, curios and imaginative gifts. It’s the kind of store in which you can happily spend a couple of hours exploring, and afterward feel that you’ve been far far away. The Source Enterprises Ltd. has been a purveyor of heritage and vintage hardware since 1970. It specializes in brass, chrome, iron, steel and bronze heritage hardware as well as darts, British pub signs and stained glass. This shop offers quality European formal 18th and 19th century furniture and decorative arts from Canada and the Western U.S. This next place isn’t exclusively an antique store but it’s the next best thing, or perhaps, depending on your taste and budget, the better thing. It’s located in North Vancouver, it has a constantly changing collection of antiques, collectibles and used furniture at the best prices in town. For antique paintings dating from the 18th, 19th and early 20th century, shop here. Guild House Antiques has quality furniture and accessories. 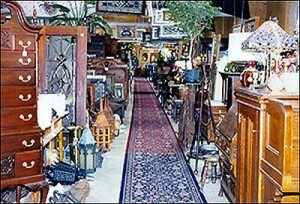 On South Granville between 14th and 17th Ave, you’ll find more than a dozen good antiques stores . To find out more about all Vancouver antique resources, pick up the Greater Vancouver Antique and Collectable Guide at any gallery.